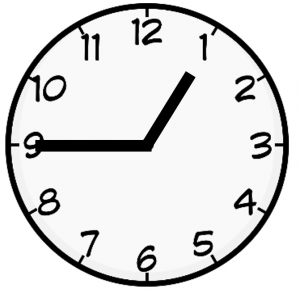 If the minute hand is pointing to the 9, then it “quarter to” (15 minutes to) the NEXT hour. 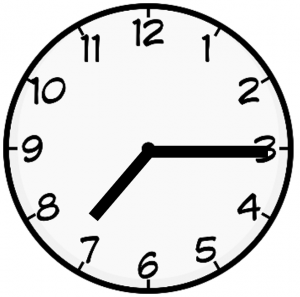 If the minute hand is pointing to the 3, that means “quarter” or “15 minutes” past the hour. If the minute hand is pointing to the 6, that means “half past” the hour. 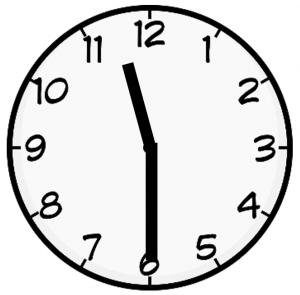 If the minute hand is pointing to the 9, that means “quarter” or “15 minutes” to the NEXT hour. 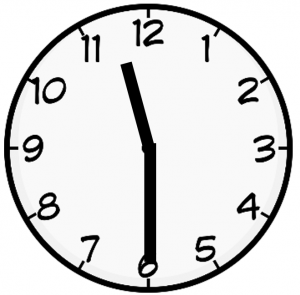 The minute hand is pointing to the 3, so that means “quarter” past the hour. The hour hand is just past the 7, so this must mean “quarter past 7”. The minute hand is pointing to the 6, so that means “half past” the hour. The hour hand is just after the 11, so this must mean “half past 11. Question 1: Which clock shows half past 8? 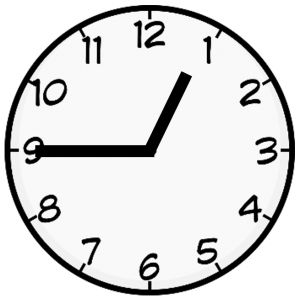 “half past” 8 means the minute hand should be pointing to the 6 and the hour hand should be after the 8. Question 2: Which clock shows quarter past 9? “quarter past” 9 means the minute hand should be pointing to the 3 and the hour hand should be after the 9. The answer is Clock A.